Look, I’m just like you, I don’t get my knives sharpened that often. 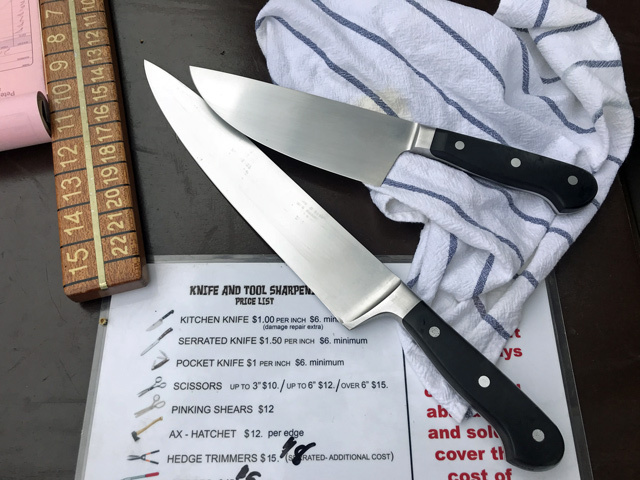 But this past weekend I went to the Atwater Village Farmer’s Market, where there’s a knife sharpener, and I brought my two main knives with me. Anyway, this is all leads to me coming home and using the just-sharpened knife. Man, what a dream! Not only did it slice through a tomato without any pressure, chopping an onion was an entirely different experience. 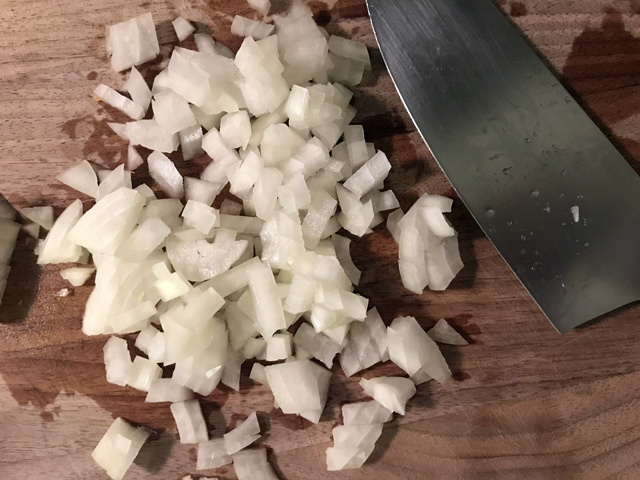 Whereas, just a few days earlier, chopping an onion was a chore that made my eyes water and involved flecks of onion strips flying all over the board, the just-sharpened knife made it so much easier. It just glided through that onion and, more importantly, it felt a million times safer. There wasn’t that chance that’s always present that the knife would slip and slice my finger off. It immediately went right through the onion. Which brings us back to my first sentence: Why is it that there are things in this life that we KNOW are good for us and yet we don’t do them? 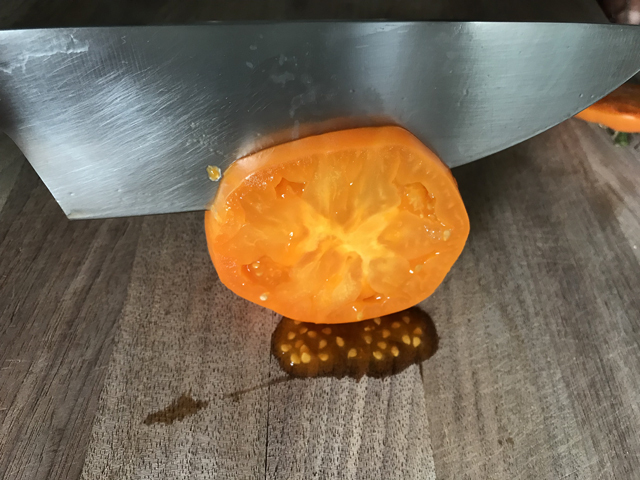 Well this is me yelling at you to go take the tomato test and, if your knife doesn’t pass, to get thee to a knife sharpener to get your knives sharpened. I promise, you won’t believe the difference. Your fingers and tear ducts will write you “thank you” notes and your chopped onions will never look better.